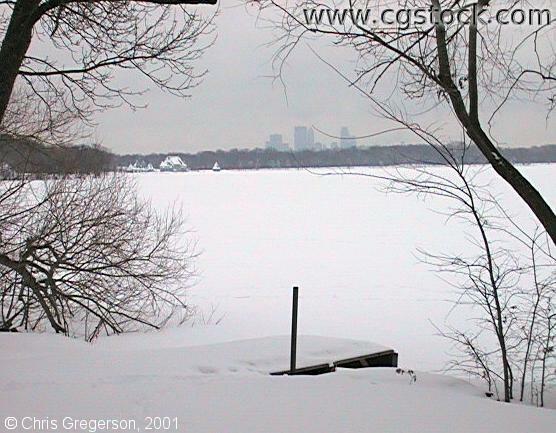 You are on the south side of Lake Harriet looking north. The bandshell is in the background on the left, on the northwest side of the lake. In center-frame is the downtown skyline.